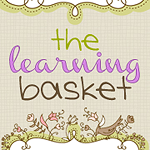 Welcome to The Learning Basket! I am Mariel, author of this blog, mother of Little T (four years old) and Little Sir (almost two), and wife to Wonderful G.
Motherhood has ignited my passion for early childhood development and is leading me to a wonderful path that I've never even dreamed of! When my daughter was a little over a year old, I became a U.S.-licensed Kindermusik educator. I teach for an established Kindermusik program every Saturday. I love spending time with 5 to 7 year-olds... and my own 4-year old who sits in! When it was time to look for a preschool, my husband and I decided to keep our daughter at home to learn and discover the world by our side. We believe that we are our children's first and best teacher, so we are homeschooling preschool... and hopefully beyond! We started with Before Five in a Row and are now slowly moving to Five in a Row. What we are doing is simple, creative, spontaneous, and mostly electronic media-free learning at home. I like to say that I keep a blog, but that I am not a blogger! The fun that we're having at home made me rethink of my slight aversion to social media. I felt the need to share our Learning Baskets - our weekly learning materials anchored on books - and hopefully inspire other parents to be active participants in their children's learning as well. A year after starting this blog and after getting inquiries about what we are doing and where I get our children's books, I opened an online book shop together with my long-time friend Rosanne Unson. We offer pre-loved children's books only by the best authors and illustrators. The books that we carry can be found in various "best of" book lists. Through my journey as a mother, homeschool mom, and book shop owner, I find myself advocating the idea that parents are their children's first and best teachers, and that the love of reading is one of the best gifts that we can give to our children. The Learning Basket partners with local establishments to offer free parenting seminars covering the topics of reading, early childhood development, and preschool homeschooling. I love hearing from other parents, so feel free to email me at mariel at thelearningbasket dot com or leave a comment. It was nice meeting you, Mariel! Nice, informative blog! Looks like I'm gonna hang out here often. I am also a homeschool advocate and I believe that it is best for our kids to be taught at home during the preschool years (and hopefully beyond, as you put it).